I've been playing around with active speakers lately. I love the clean, direct sound they can produce. There's just nothing that can beat a driver connected straight to an amp. The thing is, you don't really need an active speaker to do this. You can also use a full-range driver. This will run into limitations at the frequency extremes, of course, but should still give you most of the advantages of the active approach. And, because of its simplicity, a full range based system can be cheaper, making it a potential competitor for active systems, at least in theory. This was my thinking when I requested a review sample from Well Rounded Sound. 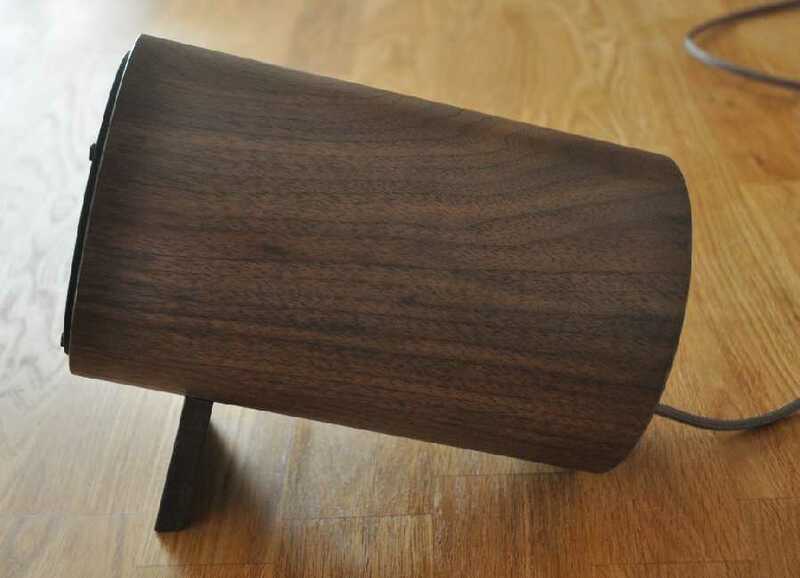 I like the quirky company name and the playful and stylish design of their speakers. They are a relative newcomer and all their products are designed and manufactured in New York City, USA. The speaker they send me is based on a 4 inch TangBand paper cone driver with a solid aluminium phase plug. These are housed in a cabinet that is made from a single cylindrical block of wood. Aesthetics are personal, obviously, and I'm sure you can decide for yourself how you rate the design, but I think it is great and makes these speakers look extremely stylish. Mine came in a very nice dark veneer and caused many positive reactions. These speakers come in two variants: ported and sealed. The ported one produces more bass and the sealed version can play louder and sounds tighter but really needs a subwoofer to sound its best. I opted for the sealed version, as I have a small subwoofer that should be perfect for use with these little speakers. The speakers have a fixed lead of about 1.5 meters terminated in banana plugs, which limits their use a bit, although this was no problem in my setup. The tilted orientation makes it a bit tricky to use them on normal stands, but works very well on a desk or a sideboard, for example. The size is a real advantage, making it possible to put them in places where you would struggle to use a normal speaker, but they are a bit deep and need some space around them for the best sound. I have to be honest and admit that I didn't expect much when I initially tried these speakers. They were smaller than I expected and the drivers just look too tiny to produce any usable amount of sound at all. I hooked them up to my Usher R1.5 power amplifier, which I admit is overkill. The amp is much larger and much, much heavier than these two speakers together and it does feel a bit like powering a golf cart with a V8 engine, something only Jeremy Clarkson would not find disturbing. But the truth is, it works! They sounded much better than I thought and were even able to reach acceptable volume levels! Granted, the whole sound was a bit thin and you cannot do hard-rock any justice, but it is still incredible what these little logs are capable of. Obviously, being single driver speakers, the presentation was very coherent and the midrange had that unforced transparency that full range drivers are famous for. At normal listening levels in my medium size room (5 by 5 meter) they sounded remarkably composed and very well focussed, I have to say. Still, the bottom end was quite thin, which was no surprise as these speakers are meant to be used with a sub. So, I hooked up the sub while still sending the full signal to the WP2's. This improved things no end: the sound was now balanced, with nice deep bass and a completely convincing overall presentation. My Unity Audio 'The Rock hifi' active speakers do have a bit more weight and body in the midbass, and can go louder, but without a direct comparison you wouldn't really notice this, as long as you're in a small to medium size room. Anyway, the Rocks are quite a bit more expensive than the WP2 speakers, even if you include the massive power amp and the subwoofer! For small rooms and anything but hard rock these speakers are actually pretty impressive. They're musical, highly resolved, spacious and natural sounding. A giant set of headphones, really. If you're coming from a pair of large, floor-standing, ported speakers then the sound might take some getting used to as these little sealed speakers are quite dry, even with my (sealed) sub. But, give it a bit of time and you'll be rewarded with a very clear and insightful sound that I found surprisingly enjoyable. It has to be said that the term 'near field speaker' does seem to apply in this case as use in a larger room at greater distances is definitely not recommended. On the other hand: I was expecting a bit of beaming in the highest frequencies, but found this not really the case, so they actually have a sweet spot of usable size. Specific talents of these speakers are percussion, piano and voices. Obviously, the percussion and piano are reproduced very well because of the lack of smear and other time domain problems, and voices sound great because of the lack of cross-over in their frequency region. Two small, high quality paper cones cannot do much wrong when driven straight from an amp like my Usher, and you can hear it: there's a see-through quality to the midrange that other multi-driver speakers in this price range can never approach. The price to pay is at the frequency extremes. Although the treble is not bad at all, and much better than I expected, it is no match for a really good tweeter, and the bass might be delegated to a sub, that doesn't mean you get the same impact to the sound as with a bigger speaker. 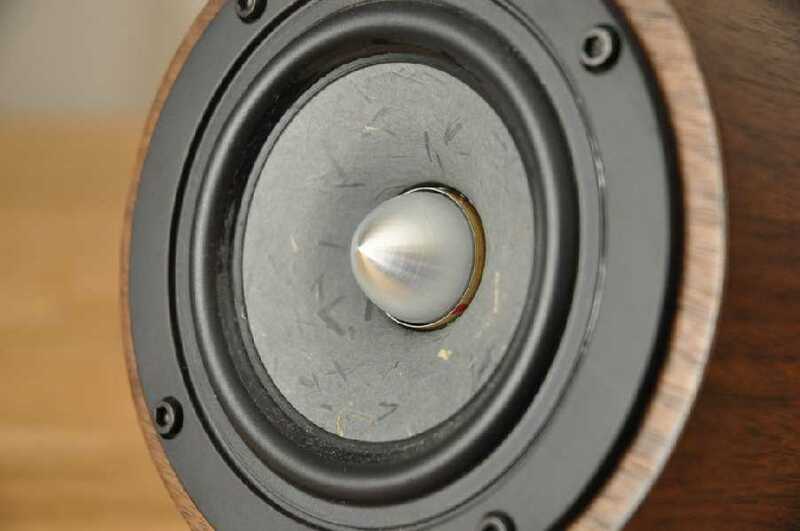 Deep bass is fine, obviously depending on your subwoofer, but midbass can lack a bit of weight. In the end it all comes down to personal preference. Some people will just love these speakers while others won't understand their appeal. What is certain is that they are more than just fashion statements or desk-top computer speakers. In the right room and with the right subwoofer these can really sing. 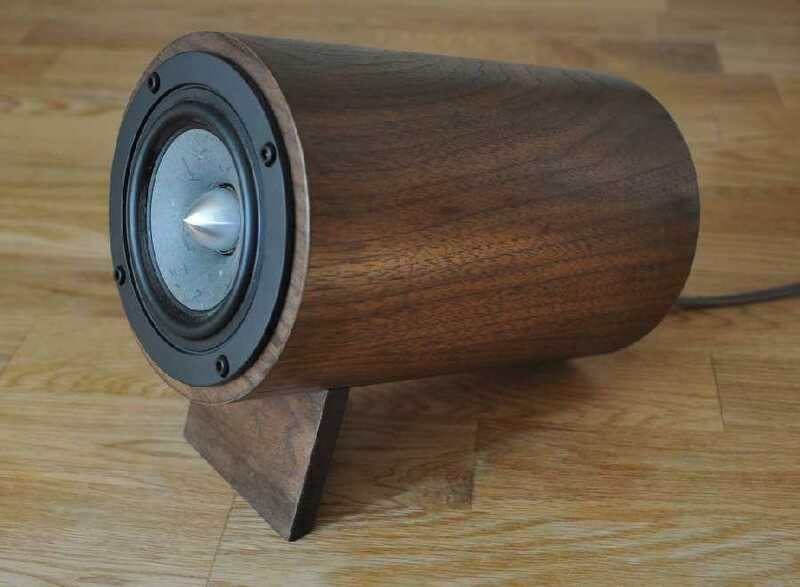 These speakers aren't cheap, but they look great and sound rather special. Do not try to use them in a big room, or without a sub for bass support: it won't work. But used within their capabilities they are wonderful. Obviously there are limitations in attainable volume and the weight of the sound, but there are also advantages like great clarity, tonal purity, small footprint, outstanding soundstaging and excellent resolution. All of that in a uniquely styled package. It's undeniably a niche product, but if it fits your particular preferences it can really hit the spot.